The museum is located in Longueville, 7 km from Provins, in a old steam locomotive roundhouse depot. This is an easy solution for Parisians since Longueville is one hour by suburban train from the Paris-Est train station. You can find the timetables on the SNCF website. One can approach Longueville by the A5 motorway, exit n ° 17, Forges. Longueville is 26 kilometers from the toll booth. At the exit, take a right and always follow the direction of Provins, first by the D210, then, at the first roundabout, by the D403. We cross Montigny-Lencoup, Donnemarie-Dontilly (which we pass around) and Jutigny in succession before arriving at Longueville at the viaduct. It all depends on where you come from … but your target will always be Provins. If you come from the West and the South, a very direct route is to take the Ile-de-France (N104) then the A5b which you leave from the exit 12 to take the direction of Guignes by the D402 for 12 km (curiously Numbered N19 in some places!). At Guignes, turn right onto the N19 for 40 km in the direction of Provins. Shortly after the exit of Maison-Rouge (10 km before Provins), a nice variant is to take on the right the D49 towards La chapelle-St Sulpice and Saint Loup de Naud, very pretty village of the provincial country. It ends at the foot of the viaduct of Longueville. Coming from the North or the East, the D231 descends straight on to Provins, either taking it from its origin at Lagny, or coming from the N4 at the height of Vaudoy en Brie. it’s a freely visit : Adults: 4 € per person (2 € for 6/11 years, free underneath). 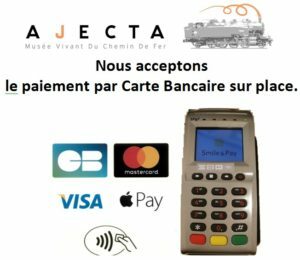 Payment in cash, by french bank check or by credit card.